It’s finally my favorite time of the year, the NBA playoffs. I’m an NBA guy and the Finals are more exciting to me than the Super Bowl. So let’s get right to it. The Spurs come into the playoffs as the number one seed. They had that last year and were bounced out in the first round by the Memphis Grizzlies. I don’t think that’s going to happen this year. The Jazz are young and athletic but I think the Spurs are on a mission this year. The Spurs are old but they still have the heart of a champion. I have the Spurs in five games. This is a repeat of last years’ Western Conference Finals but this time I think OKC wins. And pretty easily. Dallas has been gutted and they are the sorriest champions that have ever taken the floor. I would not be surprised if this one only goes four games. But I’m going to give Dallas the benefit of the doubt and say OKC wins in five games. The Lakers are going to be without Metta World Peace for all of this series unless it goes seven games. And there is a chance it could go seven games. The Nuggets are a tough team and they always show up for games against the Lakers. And now they don’t have Carmelo Anthony dragging them down. I don’t think the Nuggets can deal with Pau Gasol and Andrew Bynum. And the Lakers have this guy named Kobe Bryant who has a bit of a chip on his shoulder. I’m going with the Lakers in six games. The Clippers got a lot of attention early in the season and many talking heads picked them to represent the West in the Finals. Now we all know those people were a bunch of idiots. Memphis has flown below the radar this season but they are a serious contender. I’m taking the Girzz in six games. Two years ago Lamar Odom was razing the Larry O’Brien Trophy and celebrating his second consecutive NBA Championship. Last Year he was voted Sixth Man of the Year. This year he’s out of a job. When the Dallas Mavericks sent him packing a few days ago everyone was talking about what a waste of talent Lamar has become. I think that’s incredibly unfair to Odom. In my opinion, he is still a great talent. He is the most versatile player in the league. Name me one other player that can play all five positions. I’ll wait. When you look at everything that Lamar has gone through off the court you may have a different view of him. It’s amazing that he has made it this far. His mother passed away when he was a child. His father was a junkie. He’s had to bury a child. He’s lost many family members in the last few years. Just recently his father, who he had somewhat reconciled with, was very ill. He has dealt with issues that would have buried many of his critics. I honestly think that getting traded from the Lakers broke his heart. And I’m talking about the trade to New Orleans that NBA commissioner David Stern vetoed. Even though he’s been on different teams during his career, I think Lamar finally felt at home with the Lakers. All of his needs were met on that team. Losing them was like losing his family all over again. 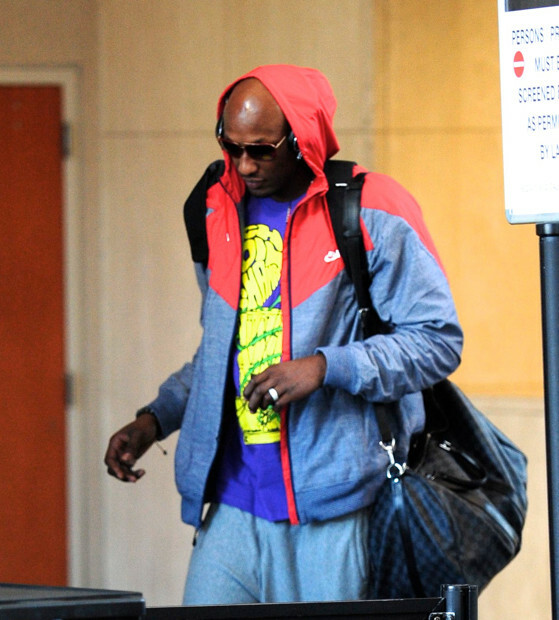 Lamar Odom is an emotional person. He always has been and will always be. And that’s fine. Most people don’t understand that type of personality, but I do. I truly believe that if he somehow returns to the Lakers he will be the great player that he always has been. He was recently seen leaving Dallas wearing his Lakers championship t-shirt and a lot has been made of that. Maybe he was sending a message or maybe he just felt most comfortable in Lakers gear. Some team will give Odom a chance to vindicate himself next season, you can bet on that. The only question that remains is, will it be a team that Lamar will feel comfortable playing for? Western Conference Preview – 2nd Round! 2011 Western Conference Playoffs Are CRAZY!! Who would have ever thought it would end up like this?